Focused primarily on economic endeavors, Norhurst is a place where wealth flows freely and where any profession can thrive. Opportunity as our watchword, we intend for every occupation to be profitable on our grounds, aiming to help each player among us enjoy the game to its rightful glory. For us, obtaining money is not our end goal, but rather a means to an end, a way to constantly push the community forward. It is our common belief that having an inherently strong economy is what will keep us secure, keep our families fed and let us all benefit from the County’s success. In that sense, we therefore plan to be much more versatile than one might initially think, with trading as a way to achieve a solid financial backbone we can rely upon for our growth. First created through the union of unstable local tribes toward a wish of self-sufficiency, Norhurst eventually became a County of its own after acquiring a solid presence in the regional economy and establishing precise rules for the management of that economy. As a result, it is now spearheaded by the Ehrhardt Household and counseled by the Trade Council, consisting of all merchants, large and small, in the area. Through their collective efforts, economical stability is maintained in the area and wealth flows through the community, enhancing everyone's way of life. Whether your preferred playstyle is that of a merchant, a crafter, a tinkerer, a soldier, an adventurer, a farmer, an artist, a deviant or anything else, I can assure you there is a place for you by our side and joining us will be of benefit to your goals. I wish for this County to be a tightly-knit community driven by common goals and a desire for success. If what you read below appeals to you and the previous sentence defines what you wish your community to be, I invite you to consider taking the first step toward joining us by contacting me, so that we may discuss where best your specific skills and interests could be put to use. Another Playstyle or Not Convinced? Footnote: Although those sections are as-of-yet not written, we already know how each of these aspects will be designed for the County. As such, if you desire more information about the content of these sections, feel free to contact me directly. Built for the sake of maintaining a sturdy economy and ensuring mercantile expertise is at the core of our decision process, the Trade Council is definitely the most prominent management tool of Norhurst’s economic presence. Its purpose is to provide a way for everyone involved in the County's economy to voice their concerns and give their opinions on anything related to our economic growth and stability, while also offering a centralized location to form business contacts, so as to ensure our economy remains efficient under all circumstances. Therefore, it acts as a channel of communication within the County, both for its management and between merchants alike. Fundamentally, the Trade Council works much like any other council would, using a location called the Trade Hall as its center of operations. From there, a citizen is capable of issuing anonymous concerns and suggestions which, after review, will be submitted for the Council to reflect upon. Once enough of these have been gathered, or when the Ehrhardt Household deems an issue requires immediate attention, the Trade Council is called and appropriate decisions are taken. Furthermore, another purpose of the Trade Hall is for citizens to request a seat at the Trade Council, which will be granted to them if they have an economic presence, big or small, in the region. Ultimately, it also serves as a location where merchants can meet and where foreign travelers can get much needed information on Norhurst’s economy. Once the Trade Council is convened, all seat holders will be given instructions on the overall process as well as information for the convocation, although coming is in no way an obligation. A representative of the Ehrhardt Household, generally the Count, will be on site to monitor and lead the discussion on each subject, trying to reach a consensus whenever possible. A transcript will finally be written, enumerating what was discussed, agreed upon and caused friction during the meeting, which will then be used by the Count to reach an informed decision. This method ensures the voice of Norhurst’s economic figures remains heard throughout the decisional process, yet also offers the appropriate framework for the ruling dynasty to still exert its authority when necessary, for instance if a decision by the Council, although favorable to the economy, could severely endanger another aspect of our overall well-being. While the Trade Council should prove remarkably useful and receptive toward economic issues, other matters may very well come up which would either have nothing to do with the economy, be urgent or require the Count’s direct attention. Dealing with such problems will require a more straightforward approach, a way for the Count to be directly accessible for his citizens without forcing him to slow the progress of his duties nor hinder his daily routine. For that reason, while most of the Ehrhardt Residence will remain inaccessible for anyone but the Household itself, a section of it will be built and furnished precisely to fulfill the purpose of a public court hall, available for all to get into contact with the local nobility. The Ehrhardt Court operates using a system of audience, a method by which the request gets forwarded to a member of the Household, who then reviews the request both to validate the concern and ensure the safety of the nobility is not in jeopardy. Assuming everything goes smoothly, an audience will then be scheduled, allowing the claimant to meet whoever, in the Ehrhardt bloodline, is most appropriate to handle the matter at hand and provide feedback on the issue. Through this process, the Ehrhardt Court should prove invaluable to help ensure Norhurst remains fair to its citizens under any circumstances while also establishing a direct connection between the gentry and the ruling dynasty, the foundation of a structure in which leaders are accountable for their actions. Other purposes for the Ehrhardt Court are also likely, such as public events held by the Count or particularly important tribunals. Taxes and policies enforced by Norhurst in the future will, for the most part, be ones chosen and agreed upon with the Trade Council. However, for the sake of ensuring Norhurst gets through Exposition as a robust, lively and effective trade hub from the very start, a few Day-One taxation methods and policies will already be put in place in order to clearly define our role as an economy-driven territory. Keep in mind, though, that anything listed below is ultimately subject to change later on, depending on decisions taken with the Trade Council and according to the limitations of the game. First and foremost, some form of taxation will be necessary to ensure the County’s expenses can be met, which means a flat taxation will be enforced on lands within its territory. This tax will serve as Norhurst’s primary form of income at the beginning and will allow us to fund both our first efforts at enhancing our overall economy and the public services necessary for our citizens. As stated previously, this method of taxation is meant to help us make our first steps on Elyrian soil and thus the flat rate was chosen precisely because of its lessened administrative burden, which is ideal when facing a situation like ours. As time moves on, a better method is likely to be adopted with the Trade Council, depending on the conditions we’ll be facing at that point. A moderate part of the aforementioned tax will be used to fund the maintenance of the County’s road network, in order to make travel in and out of Norhurst’s territory as efficient as possible. By focusing on properly maintaining and enhancing the existing infrastructure, and on creating new infrastructure if needed, Norhurst should hopefully become a great hub and relay for regional trade, as well as a key location for import and export. Plus, given the need for Norhurst to be tempting for potential newcomers, this will likely help it stand out from its neighbors and potential trade rivals, which means such a measure will, in the long run, definitely stimulate our economy and allow us to prosper in the region. Of course, a solid network of roads will be useless if nothing is done to protect it from bandits and creatures alike. To alleviate this concern, several security measures will be taken to defend our roads as well as the goods travelling on them. To begin with, outposts and other such locations will be created on roads, especially on important intersections, to serve as secure locations for caravans and to support an effective system of patrols. Then, departure of such patrols will be matched with the departure of traveling merchants and caravans, accompanying them to Norhurst’s borders and therefore bolstering their defense in case of an assault. Retaliation will also be taken seriously if raiding ever does show up as an issue, with groups of soldiers swiftly taking care of the problem. Hopefully, such responses should deter banditry within the County and should reduce the risks involved with the regional fauna to a minimum. For the sake of both participating in the economy and filling the treasury with profits, Norhurst will lead the way of business with publicly-ran industries, thus offering a fair amount of worthwhile employment and other such benefits to the community. The presence of these industries in the County should help stimulate specific fields of interest for Norhurst to develop, on top of stabilizing the overall economy, especially import and export, around the supply and demand of selected items of value, serving as anchors for trading in the vicinity. Since money made from such methods will go back directly into the treasury, it should also eventually reduce the tax burden on fellow citizens of the County. Obviously, carrying the whole regional economy on Norhurst’s shoulders will be absolutely impossible, which means new private businesses, both small and large, will be required for the region to thrive. In-line with our focus of granting everyone a fair opportunity and chance to make it big, options will be in place to offer both grants and counseling as forms of support for new industries either settling up or being created in the County. These will ideally create diversity within our internal and external commerce, therefore allowing our reach to go much further and in return give us better odds at acquiring great contracts and deals, while also ensuring the Trade Council reach its peak in efficiency as quickly as possible. Additionally, measures will be taken to not only support the mercantile side of a business, but also to expand the overall workforce contained within our territory. Assistance will be granted to families and dynasties aiming to increase in size, through for instance help with starter kits and additional rooms for the offsprings, or help with contractual marriage and childbirth agreements. Using this, large dynasties should be able to appear in the region and their efforts will prove fundamentally important to fuel Norhurst’s economic ambitions, while also making it far more likely for one’s success to positively impact every others in the community. Although providing support to family expansion is a noble cause, it is of no use to Norhurst if the County’s unable to retain these people within its borders. For that reason, a moderately high amount of funds will be funneled toward overall education, therefore assisting newborns get productive as quickly and as efficiently as possible. Our intent is to offer the infrastructure necessary to cover most skills, one way or another, and as a result help all playstyles thrive on the territory. If everything goes as planned, this measure will sustain a healthy, capable and inclusive community, while also cleverly emphasizing the complex production networks between Norhurst’s citizens, in all of their respective trades. As the hopeful centerpiece of a thriving economy, a County such as Norhurst cannot afford to leave its road network unprotected. While a typical County may be inconvenienced by acts of banditry and larceny, one focused on trade will see the very core of its lifestyle threatened if such undertakings were to take root in an area, thus requiring monumental efforts geared toward the safeguard of its territory from these practices. An organized force coordinating to fortify both settlements and roads; such is the essence of the Norhurst Watch. Sworn to the defense and betterment of the citizenry’s way of life, Watchers are first and foremost the direct enforcers of legislation and security within our borders. Tied to the execution of effective patrol routines and the handling of guard duty, both throughout settlements as well as fortified strongholds, these soldiers also dedicate their energy toward intensive training drills targeting their fields of interest as well as common expeditionary endeavors on lands under Norhurst’s jurisdiction. During periods of prosperity, they must ensure the stability of the Realm, while also participating in various operations geared toward tasks such as clearing banditry, exploring landmarks and assessing direct threats. As a military force, the Watch follows an unconventional doctrine. Built with modularity in mind, it is left unburdened by the usual strain of troop standards and can instead focus its efforts on making every soldier shine in its own way. Upon entry, each recruit receives what is known as the Watcher’s Collection, a set of documents unique to every individual and providing exhaustive details on fauna, flora, geographic landmarks and military elements within both Norhurst and its neighboring regions. Following an extensive training period designed to provide the necessary proficiency for qualification, a trainee may then officially assume the mantle of a Watcher, ready for service among the Norhurst Watch. One’s growth never ends here, however; the Watch deems ongoing improvement a necessity to an army’s efficiency, and thus has established rotations between a Watcher’s duties and practice drills. Measures shall be in place to ensure an effective ratio between troop deployment and reserve is always kept, thus providing every Watcher the precious time required for their own betterment efforts. It is our belief that in doing so, the garrison will grow to be a versatile force, capable of adapting to the conditions of warfare and provide valuable tactical opportunities when needed. A Watcher’s proud duty can also be prone to specialization, at the soldier’s request, and upon doing so, tasks shall be adapted to maximize one’s exposure to the desired field or practice. Developing oneself is one of the core values of Norhurst citizenship, and thus must extend to our valiant vanguard, for whom risking one’s life may prove to be a daily occurrence. Therefore, several paths are available for Watchers to build a military career of their own, be it centered toward mastery in a specific skill or proficiency in several. Roles of special interest may also be offered if an enthusiasm for them is shown, such as ones related to deviancy or leadership. Additionally, if one were to display the utmost in loyalty and morals, their service to Norhurst could very well be recognized, and rewarded with knighthood by the Ehrhardt noble lineage. This honor, bestowed by the Ehrhardt Dynasty directly, is meant to highlight the achievements of a citizen and is often awarded for critical contributions toward the success of a war or other conflict. One who wields this title carries with him the prestige of Norhurst, the trust of our rulership, and will be given the opportunity to formally enter the fold of the Ehrhardt Dynasty. Selfless devotion toward the well-being of Norhurst and its citizenry may therefore be met with a valuable recognition and can pave the way to a new life, as a member of nobility. One peculiar particularity of the Norhurst Watch, as an armed force, lies in its tendency to use and cooperate with tamed beasts. Employing many professional trainers to convert local wildlife into the fold, the Watch intends to make full use of the unique opportunities born from such a collaboration. The fauna of these lands has obviously adapted to its harsh conditions, and their incredible skillsets, such as their speed, strength and instincts, can prove invaluable to the fulfillment of our goals if put to good use. It is with this in mind that the decision to integrate them as proper Watchers was made, as a part of the standard garrison. Our forces can benefit from this extra hand in a plethora of tasks, especially in the fields of combat and information gathering. A well-trained beast can be a deadly force when employed alongside guards on a patrol, or during wartime efforts, because of its distinctive fighting style and natural aggression. The heightened senses of wildlife can also prove effective to track mann, if it were to ever be a necessity, and the potential of birds as both scout and messenger is nearly limitless. Here are but some of the many examples where this collaboration can flourish, and form a valuable partnership between mann and beast; the potential is simply much too great to pass up. Footnote: This section is still a work-in-progress; a lot of information is currently missing (namely, our views on settlement guards, mercenary work, defensive measures and logistics). If you wish for more information on any of these topics, please contact us directly. Standing tall as Norhurst’s capital and the heart of its commerce, Taïra follows the principles of mass trading and resource delegation to secure its position as one of the key actors in a fluctuating economy. Paving the road of growth and expansion, this city serves as the foundation of regional trade and acts as a beacon toward a bright future for both itself and the County of Norhurst. The gate is open for all, the community is convivial and the stalls are filled with precious and unique wares. Whatever it is you seek, be it wealth, fame, employment or social engagement, you can rest assured Taïra has it in store for you! While the atmosphere and opportunities found within these walls are one-of-a-kind and distinguish themselves from what is offered anywhere else, Taïra’s structure still follows the pattern of most large settlements by using a system of districts to expand dynamically and define a clear purpose for each newly-acquired parcel of land. This system ensure citizens who wish to contribute to Taïra’s expansion by purchasing nearby land from the County will know, without having to talk with the Mayor directly, what those lands will be used for, which in turn makes it possible for those individuals to reliably benefit from such acquisitions and therefore provides incentive for them to develop the city alongside their Mayor. The first such district to consider, which is of vital importance to any functional city out there, is the presence of a Residential District; areas dedicated to the residents and their families, as well as the necessary infrastructure to support both their needs and lifestyles. Such a district will of course very likely become the largest fairly quickly, given its dire need of buildings for housing purposes, and will hopefully be the main driving force for expansion outside urban borders. Aside from residential constructions, other possible buildings in this district include schools, churches and recreational areas, for the potential they provide by being close and easily accessible to the population. Next, another major district of Taïra is the Commercial District, where trading leads all and where witty thinking can definitely earn you a few coins if you know what to look for. Built around the major streets crossing the city, the Commercial District exists for the sake of providing wares and services to both citizens and passersby. Shops of all kinds, rest areas, guards for one’s travels and occasional street performers, everything here is the engine behind an entire economy, with transactions serving as its fuel. Furthermore, to capitalize on this district’s potential and to enhance its overall effectiveness, the marketplace stands here as an area where small income can be turned into great profits and where each can earn their share. While some would mention it as a region of the previous district, the Financial District has to be considered as an entity of its own. Much smaller in size and secluded from forward commercial activities, it still remains a fundamental pillar to the well-being of business in the region. This is where banking operations are offered, such as the safekeeping of goods, the exchange of currencies and the access to loans, and where the administrative buildings for official guilds are located. The size and strength of this district should prove to be a clear indication of the city’s influence as a trade hub, and should grow as more and better agreements are made with neighboring powers. In last comes the Industrial District, with a focus on the means of production required for the sake of creating crafted goods, built from raw resources all the way to their refined forms. Buildings located in this district contain crafting stations and are furnished precisely to be where most crafts are carried out, therefore making them ideal for manufacturing operations. Moreover, the presence of warehouses helps larger guilds and associations keep their production moving forward, which in turn makes them competitive on the market and allows them to build themselves up in the community. The Industrial District is thus the heart of Taïra’s work roster and one more reason, among many, to settle down here. Taïra is the home of many administrative buildings and other such locations of importance, a clear representation of its influence in the region. First, both the Mayor’s and Count’s administration are positioned here, indicating just how deep the city is rooted in local politics and making access to tax and land management tools all that much easier for citizens. Additionally, the Trade Hall is also occupying the area, a site which is absolutely vital for the proper maintenance of economic prosperity for everyone involved and affiliated with the County. One can thus defer just how significant this city is on the political landscape, both as an influential power but also as a driving force of commerce and trade. The marketplace is a clear and recognizable landmark of the city, a symbol of its overall efficiency and ingenuity when it comes to financial milestones. Place of bargain and negotiation, this market is owned by the city and littered with stalls of all kinds, ready to be publicly rented in exchange for a daily upkeep. As a result, this public space can act as a form of advertisement and additional retail outlet for local merchants, and as a way to temporarily set up shop for travelling merchants to sell their wares. The consequence is a particularly interesting source of income for Taïra, since it fills the treasury with much-needed funds while stimulating the economy at nearly no additional costs for the city. Built to represent the unshakable nature of its residents, the Ehrhardt Residence is a work of wonders and a mark on the lands. This dignified construction is home to the local nobility, and acts as a central figure of Taïra’s aesthetics. A manifestation of the Ehrhardt’s status and fame, this building is where official matters are dealt with daily and where one may see and interact with their local nobles, should they so desire. While most of the area is under protection and close supervision by the Household, other parts of the residence are made public precisely to sustain a point of contact and communication between community and nobility, one of which is the Ehrhardt Court. As a city willing to take the initiative of aiming high, Taïra intends to expand in the future through the investment of heavy funding into its own growth and the involvement of its community in such aspirations. As years go by, residential and commercial areas should grow, leaving a greater need for both food and work, which should therefore stimulate and be of benefit to the rural and urban industries. Alongside the intent to allow and promote the purchase of lands by the citizenry, this demand-based environment will promote the dynamic spread of the city and other similar results related to a swift expansion, both economic and territorial. While this form of growth will definitely prove interesting for Taïra, it will all be for naught if the city does not manage to generate new markets and work opportunities for the newborn population. For this reason, infrastructure outside municipal walls will be kept in mind and expanded if need be, to ensure the financial viability of industrial projects such as the exploitation of renewable and non-renewable resources. Roads may be built between the city and points of interest, additional security may be provided in important areas, better deals may be offered for the exploitation of beneficial resources and tax exemptions may be granted to the affiliated workforce. This way, Taïra’s economic reach shall expand just as much as its territory. However, accurately charting the lands and finding its hidden resources will be necessary for such economic ventures to succeed, without which unknown factors could very well lead to an unexpected loss. Efforts will be required toward gathering precise information on our surroundings, more specifically its riches, threats, secrets and patterns, so that we may correctly prepare toward the exploitation of what is rightfully ours. To alleviate this issue, public-funded adventuring parties will thus be dispatched in the wild periodically, either to confirm the presence and investigate the quality of known but unused resource nodes, or to scout particular areas for as-of-yet undiscovered resources of greater quality than what is already readily available. With this knowledge in hand, it will thus become much easier for worthwhile industries to be developed, and for proper care to be taken toward both resources and assets. A city is a prime target for banditry, raiding, extortion and other forms of deviancy, and as such a city has to be properly defended. Taïra is obviously no exception to this rule, and therefore has the duty to protect both itself and its citizens. To that end, a small garrison of Norhurst’s main forces is permanently located inside the city, acting as guards tasked with enforcing law and order within the perimeter, whenever and wherever necessary. These units, trained to handle solo fights, group tactics and all-out warfare, are the baseline of Taïra’s protection and capacity to maintain peace inside its own borders, but also a major deterrent against the more underhanded criminals out there. Through their presence, a calm and harmonious atmosphere can be maintained in the city, everyone aware they are safe from harm. Another defensive feature worthy of mention is the presence of a wall surrounding the city, and while one shouldn’t expect it to withstand a direct assault from siege equipment, anything short of that should reliably be kept outside with little to no concern at all. This wall turns Taïra into a solid lynchpin when war shows itself, since the combination of a good defense against ground troops with a properly-maintained road network, normally meant for the transit of trade merchandise, makes it an ideal location for supply and logistic operations. As a side-effect, the wall also leads merchants and travelers to enter through the designated gates, which would make it easier to detect and prevent smuggling, should such a problem arise within the local economy. As a final note, while it is not directly part of the city, outside infrastructure will also be considered when planning the safeguard of our material assets. Patrols will be dispatched periodically and a dynamic form of defense will be adopted to ensure no unnecessary risks are taken by those ambitious enough to lead projects and large investments outside the safety of city walls. Resources are just as important an asset as any other for Taïra and Norhurst, hence why problems around those will be treated with the care and devotion they deserve. Through such an adequate level of vigilance, unfortunate incidents should not threaten to befall our mercantile and industrial activities without warning. As a deep echo from a past long forgotten, the Ehrhardt name is one of ancestral origins. Born in times of dire need for the mercantile path, the Dynasty was one with the road until they were eventually forced to settle down within lands consumed by conflicts. Using both their wits and negotiation expertise, local powers were eventually united and our ancestor, a mann going by the name Edmund Ehrhardt, acquired the right for rulership of the lands. His influence went from generation to generation, eventually leading the Ehrhardt Dynasty toward proper noble customs, and with it came a shift of mentality. The former merchant principles they used to follow grew to much greater proportions, now incorporating even politics and the machinations of rulership into itself, and with it began a race for power; one they sure intended to win. Built on the idea of behaving as true nobility, with honor held in high regard, yet also on a foundation of efficiency, where player ambitions may thrive, the Ehrhardt Dynasty is without doubt a fascinating Noble House. Driven by a clear purpose, the Dynasty intends to set itself apart by involving each of its members on the path of rulership, forging relations of vital importance with players of varying skillsets and desires onward a quest of collective growth. Step by step, this group intends to become an influential and widespread Dynasty capable of participating heavily within the overall ten-year storyline and upcoming conflicts of Elyria, hopefully extending its reach beyond the borders of its own communities. The Ehrhardt name shall one day bring with it a surge of trust and respect, ringing aloud within the hearts of the citizenry as a sign of incoming change. Recognizing that every individual has different needs, goals and preferences, new members joining the fold will thus be treated as those in control over their own branch of the Ehrhardt lineage, allowing them to therefore manipulate their genetics toward specific appearances, tribes or skills, in line with their own preferred inclinations. Furthermore, along the road, existing Houses may be merged and slowly integrated inside the Dynasty, leading to distinct ancestry shifts and an increase in biodiversity between its members. The expected long-term outcome of such practices will be an extensive genetic pool encompassing most options available to player characters, inside of which structures will be in place to efficiently bring the Household together toward common objectives. As a main focus of the Ehrhardt Dynasty, great care will also be taken in handling nobility and its associated titles among those of the bloodline. The current intention is for such positions to be spread out within the lineage, as a deterrent against power abuse scenarios, and for their holders to retain full authority over their realm; it is from there the full responsibility of a title holder to fulfill his duty toward his rightful citizens, to the best of his capabilities. The Ehrhardt Household believes the delegation of tasks among its hierarchy is an efficient way to avoid micromanaging every realm under its control, yet also recognizes not all realms, nor nobles, are equally suited at handling each type of problem they may come across; thus brings forward the Derogations, a Dynasty-backed task-oriented system ran by the Household and capable of supporting an Ehrhardt in many fields of expertise. Following sections shall go into greater details about the Ehrhardt Household and, in some cases, about their overall behavior and mentality. Please note that this Dynasty is designed very similarly to the many tribes within Elyria; as a group with its own ideals and lore, but from which players can willingly choose to diverge, if desired. It is therefore important to stress that nothing read below should be taken as roleplay guidelines, nor should it be seen as an absolute; such a design is meant to simply guide the actions of the high hierarchy and provide both background and flavor to the Dynasty, but has no incidence over the playstyles of individual Ehrhardts and might be subject to change over the ten-year period. Whether a player wants to abide by those, and to which extent, is entirely up to their own personal preference. Those of Ehrhardt blood are often hard to grasp for most, but that is simply the consequence of their rather peculiar set of principles. Ehrhardts always had, since times immemorial, a close relation to the path of mercantilism and an expertise at discerning good business from risky deals, which not only allowed them to acquire a place among Noble Houses but also dug deep roots into the very core of their mentality. Nowadays, society views them as particularly eccentric nobles, yet a closer inspection reveals their motives and actions are driven, unlike most, by complex mental calculations based on the gains, losses and risks they estimate for the different options they have at their disposal. In other words, the Ehrhardt bloodline follows a mercantile approach to handle their daily tasks and problems, and this extends even to the management of their realm. That’s not to say the Ehrhardts behave in a fundamentally different way from usual noblemen, but rather that they simply act for divergent purposes. Ironically, those of direct lineage with Edmund Ehrhardt still cannot properly comprehend the principles and reasoning behind nobility even to this very day, which led them to eventually follow the Code of Chivalry as strictly as they possibly could, as a way to form an etiquette and cross the gap between themselves and other nobles. In doing so, the Ehrhardt Household managed to behave properly as a Noble House and formed much-needed relations with neighboring noblemen, thus giving them the essential recognition to safeguard their title and position from opportunistic individuals. This explains why the concepts of chivalry hold such immense value for the Dynasty, and why they abide to them with such vehement fervor; because it is a bridge, between their mercantile tendencies and what is expected of them as fellow nobles. Having such a strong contact with the moral customs employed by soldiers, however, brought with it a newfound interest for the concepts of warfare, a field as-of-yet unexplored by this bloodline of merchants. Over the years, the Dynasty acquired a very strong and unyielding respect for those who devote their lives to their lord and citizens, and for the ingenuity they would often display when dealing with unfavorable odds. In particular, Ehrhardts consider the effective use of tactics and strategy as the defining factor of a victory, and the capability to command troops through the worst odds as a sign of military expertise. For them, strategy is to a warrior what negotiation is to a merchant; a proof of wits and a display of wisdom. The commanders, tacticians, strategists and logisticians are therefore the most highly-regarded military personnel under Ehrhardt leadership, and are chosen with utmost care. In regards to their ascension as Nobility, though, the Ehrhardt bloodline developed a few less-than-ideal quirks and mindsets, a direct consequence of their singular past. For instance, Ehrhardts are much more inclined than regular nobles toward conquest endeavors and especially if they consider something to be rightfully theirs, since they see very little distinction between owning land and owning wealth, and believe its purpose to be expansion much like how money is invested to generate profit. To them, zero-sums are like second nature, they are inclined to aim for the top even if it means they must displace an enemy. Rivals and nemesis, the Ehrhardt lineage can prove to be quite the polarizing force. A remnant of ancient days, the Ehrhardt Dynasty follows a set of ideals called the Ehrhardt Core Tenets, a clear representation of an Ehrhardt’s mentality and pride. Since its initial creation, the doctrine has grown and its meaning expanded, and it is now forming a reference for all rulership and realm decisions. The following tenets shouldn't be interpreted in a literal sense, since they reflect the full scope of an Ehrhardt's philosophy, but they should nonetheless be considered the primary motivation behind Household decisions. If one intends to foster a sincere and lasting relationship with the Dynasty, it is crucial to fully grasp what comes below. Your personal ambitions are the driving force of the Household. Pursue them and affirm your own vision; our collective name lives on your ideals. Devote your all to your own objectives, but never forget your affiliation. New heights can only be reached when we bestow our trust toward each other. Your actions speak for themselves, do not carelessly tarnish your reputation. You can derive prestige from how you exert control over others. Your lineage exemplifies your mark on the world. We stand at the precipice of History, so always act as befits one who shall be remembered. A Derogation is a unique particularity of the Ehrhardt Household, an internal structure built for the sake of handling a specific duty of the Dynasty. This system exists so that tasks may be delegated among the bloodline effectively, a method of administration centered on relaying work between layers and avoiding the burden of micromanagement. Each Derogation is led by an Excursus, an influential member of the Dynasty whose sole responsibility is the creation and management of a hierarchy meant to fulfill the objectives assigned to him. As such, since there is no clear framework on how Derogations should work, each individual Excursus is free to model its inner workings according to his personal preference. First and foremost, it is important to clearly define the distinction between the Ehrhardt Dynasty and its counterpart, the Household. The word “Dynasty” represents every individual among the Ehrhardt lineage; any person with the last name Ehrhardt is therefore within the Dynasty, no matter how close or far that person may be from the core bloodline. The word “Household”, however, represents every individual involved or in contact with the Ehrhardt lineage; as such, anyone employed by a member of the Dynasty, or anyone who belongs to an allied Dynasty, is by all rights also a legitimate member of the Household. In nearly all circumstances, members of the Ehrhardt Dynasty are also considered members of the Household, and thus the word is often used to define the Ehrhardt affiliation as a whole. Joining the Household can therefore be achieved by mostly anyone, and merely requires putting your skills to good use. From a player's perspective, this sort of employment offers an increased stability in terms of both work and wage, since a Noble House has infrastructure of all kinds to maintain and expand, and the means to pay individuals for these tasks. Another interesting aspect for such players might be that the Household is in close contact with the Ehrhardt nobility, which means not only can they get better and faster feedback on issues they may face, they also have priority in their given field of expertise whenever the Dynasty requires something, thus meaning that exclusive opportunities to work out deals with the Dynasty are available. Last but not least, members of the Household are part of a large entity, working as a collective toward common goals; if having a great impact on the world sounds attractive, joining the Household might be worth some consideration. Joining the Dynasty is also a possibility, although managing to do so cannot be guaranteed and requires more effort than the Household. The greatest distinction between both admissions is that, to enter the Dynasty, a player needs to be an active and contributing player toward them; skill is by itself no longer sufficient to be given entry. However, it should be stressed that this is in no way a hard milestone to achieve for anyone who’s willing to take it seriously, nor is it a limiting factor to a player’s progression. Once among the Ehrhardt Dynasty, a player will generally be given duties inside at least one of the Derogations (although, please note that membership within those Derogations can be achieved by normal members of the Household, too, and is generally a good way to climb the ladder). Ehrhardts are from that moment onward expected to fulfill what is expected of them and work toward the objectives of the Dynasty, but otherwise retain full freedom over both their gameplay and lineage, as members of an influential Noble House. Earlier sections covered several details about Norhurst itself, from its administration to its local nobility; it is now due time to focus on you, prospective player, and your intentions within the game. This section aims to portray Norhurst from your perspective and provide an overview of the different opportunities you could acquire by joining us. If anything piques your interest, please do not hesitate to contact us and inquire further into it! You’ve got an interest in leaving your mark on the economy? Want your very own storefront, or maybe you’d rather travel the roads? Whichever it may be, you’re in luck! Norhurst’s main focus is to have a hand into nearby trade and act as its foundation, which means there should be no shortage of neither materials nor clients for your endeavors. The Trade Council should also act as a way for you to get involved in politics and have a say in our government, and if you have a look at this County’s ruling Dynasty you will quickly realize that your intentions in the game very likely align with theirs, as well. You might also want to consider the region we reside in, as further motivation. Norhurst is located within the Duchy of Triton, which is a region greatly devoted to naval pursuits; it is therefore quite likely that the area will become a hotbed of economic activity throughout the game’s lifespan, with ships and caravans acting in unison to transport goods all over the hemisphere. To further support this claim, the location will be mainly populated by Nerans, a tribe adept at learning languages and as such well-positioned to foster a very strong economy. Combine these facts with the willingness of this government to help fund players who have clear economic ambitions; hopefully you should see the same potential I do, regarding your playstyle’s overall experience. If you wish to put your foot in the military side of this game’s gameplay, then I daresay this County may be ideal for your desires as well. Over here, we are treating our combat-oriented players in such a way that they stay in control over what, precisely, they want to develop in terms of in-game skills, and we make sure that they’re faced with situations where they can put those skills to good use. A military career among the ranks of the Norhurst Watch also opens you up to a position of leadership in times of war, since fostering solid leadership is a skill we will aim to maintain. If you’re still not convinced, then I should also say Norhurst might prove to be of interest to you due to its political situation. Since my own personal goal within the game is to foster my Household, I will likely seek a way to expand the Household’s reach, and although part of that will simply come from the mechanics of marriage and childbirth, it wouldn’t be surprising for it to also revolve around wars, eventually. If you want to participate actively on that side, the opportunity is there for you to be called to a frontline, be it mine or someone from the bloodline, much more often here than anywhere else. With the constant build-up in experience, you should have a great military career ahead of you. Out on the roads, eh? I sure am happy to have you among us, here in Norhurst, because I’ll have a ton of work involving you guys. First of all, as a hub for trading activities, it is paramount for us to have a very good understanding of our own lands, and that no errors be present in our charts; ensuring it is so will therefore require putting a budget forward for your endeavors, so that we may have the most effective road network possible and all riches from nearby ancient structures are accounted for. In the long-run, this County will also participate in Duchy-wide efforts to push for a naval colonization of new continents, which means settling here will allow you to be at the forefront of these actions, should you so desire. Another aspect to consider for this kind of playstyle is the interaction you might want to participate in, with the Norhurst Watch. Although mainly a military force, the Norhurst Watch will have a particularly dire need for a large amount of information regarding the landmarks around them, and this intelligence will be in constant need of renewal. As it stands, it is our plan to provide to every Watcher a set of documents called the Watcher’s Collection, which will among other things detail the landmarks of not only Norhurst, but the neighboring territories as well. This information will need to be collected, and this task will prove vital to the well-being of our whole community; a task which would be right up your alley, should you desire to partake in it. Players who want to connect with nature will find that this community can make great use of their ambitions. In regards to food, be it cultivated or hunted, you will find that a very unique opportunity opens up for you, here; since food has a tendency to spoil fairly quickly, it will be fairly difficult for us to acquire it in large amounts through trading, like we’d wish to do with other commodities, yet the constant caravans going through the region should also mean a producer located here will reach further than usual; meaning, someone willing to dedicate themselves to this business has the potential to tap into a much larger market than typically available, if they are located in the area. Should you rather be after a connection to nature in regards to fauna and flora, be it through for instance animal breeding or alchemy, you will also have a lot of opportunities within reach in this community. It is currently intended for the Norhurst Watch, the main military force of the County, to be an organization with a very close tie to nature; the common wildlife of the region will be trained to join into the fold in either a combat, tracking or support role (for instance, messenger birds), and the local floras will be thoroughly documented, alongside all their properties, in the Watcher’s Collection, which is a set of books distributed to every Watcher. As an honorable mention, it is also worth noting the high demand for excellent mounts (due to trading) and reliable medicine (due to constant travels) in the region. If you’ve got a desire to play into the cultural side of the game, the regional surroundings should feel right at home for you! As a prosperous foundation for trade, Norhurst is a focal point for travel and visitors, imbuing it by extension with the culture and local customs of the many tribes moving through it on a daily basis. Its multicultural status helps distinguish it and can also give the region some unique opportunities toward building something of our own, an indirect result of the proficiency of the Neran tribe in foreign languages. Overall, this means Norhurst can build a very strong cultural identity, from the elements in place and available to it. Closer at home, there is a few more advantages worth some consideration, too. 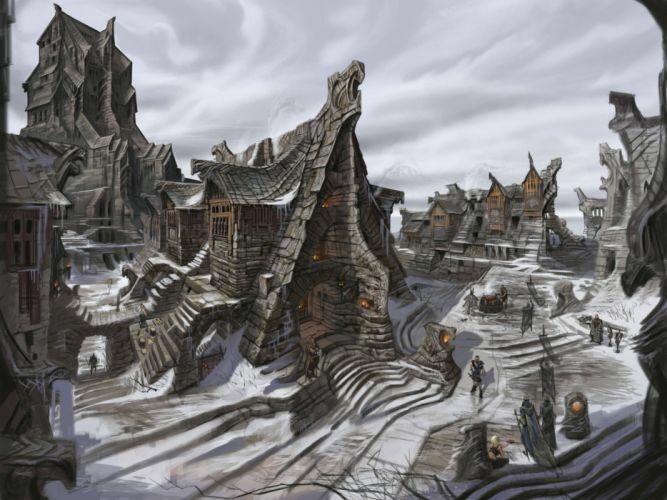 Being in lands owned by Nerans and located in such close proximity to the mountainous homeland of Hrothis, the Virtori religion is bound to have a strong influence in the region, and a very interesting duality between faith and culture will certainly form as a result of the tribe coexistence. Furthermore, with one of our close neighbor and ally, the County of Domnei, being a hub for cultural activities, you can expect a lot of deep interactions and many festivities to occur in our area, which will provide many opportunities for you to bring forth your own creativity during such events; Norhurst has the potential to be an impressive home for you, as a result. You want a hand in the field of research, and for everyone to recognize your expertise in what you do? The region can provide quite a lot of options for you then, when you look at the broad picture. To begin with, the Duchy is leading a research initiative in the field of naval advancements, a field large enough to encompass many other distinct industries, yet also with clear and tangible results spanning the entirety of the continent. The Kingdom itself also intends to drive research forward, and we as a County would love an influence on the field, by having someone like you at our side. In more concrete terms, I think it should also be said that the Nerans, the predominant tribe of the region, have an additional proficiency toward research and learning, which should prove quite handy for this kind of endeavor. The presence of an Academy nearby, which will belong to a close, allied County of ours, should also push discoveries forward, and provide the perfect environment for you to experiment to your heart’s content. Finally, the constant traffic of goods, both ones common to the region but also ones of more exotic origins, may help you discover properties between them that would’ve been otherwise difficult to pin down due to how far away they both originate from; this should therefore be ideal for further innovations later in the timeline. As a sidenote, I would also like to bring up the topic of research into the occult : If you would like to explore the effects of magical properties, or the relationship between mann and faith, let it be known that it is something of interest to me as well, and I would very much like to discuss the topic with you; we may be able to work out a deal. You’d like to be a crime lord? Or, maybe you wish to be the one quelling deviant activity in the region? This is somewhat of a sensitive subject but, I will say that I am open about integrating players who wish to train and master deviant skills into my community, as long as we find a way to correctly use your skills. For instance, falsifying documents could prove pivotal in a war effort, or disguise skills could help keep me alive from an assassination attempt. If you’re fine with using your skills in this sort of manner, it is my intention to have a subsection of the Norhurst Watch dedicated to this kind of usage, and you should directly contact me so we can discuss how we can go about putting your ambitions to good use. It is also possible, if you so desire, for you to find employment opportunities with me in regards to the Dance of Dynasties, since my own personal goal is strongly tied to that. If you would rather be on the other side of that coin and root out the criminals from our society, I will also have a ton of opportunities for you and a huge need for your skillset. As it is, Norhurst is particularly vulnerable to the potential effects of banditry and the smuggling of goods, which means I will ensure an appropriate budget is set forward to quench down on these practices. Some of the elements in the Norhurst Watch will be valuable for tracking purposes, but it is all for naught if we can’t find the proof we need to convict those we do catch. How we will handle the judiciary process will be absolutely vital to the region’s prosperity, meaning that you, as a person, will be incredibly valuable to these efforts. If you’ve got your mind set on the idea of roleplaying your character, I think you will find this to be a suitable area for your desires. Keep in mind that the community here isn’t a roleplay-centric one, but it is certainly a roleplay-friendly one; what I mean by this is that roleplay won’t be an enforced practice but will still be something I expect others to play along with, since this game has the perfect framework to combine this with typical play. I would also advise you to check what’s written up about the local nobility, since I’ve set a lot of efforts into making an extensive backstory, mentality and lore behind them and it should be a great stepping stone toward your own roleplay experience. If the current post didn’t manage to cover your specific scenario, or you don’t quite feel convinced yet but still wish to know more, I would advise scrolling down a little further to the Message Board section and looking into contacting us directly. Everyone has different circumstances and it would be impossible to accurately cover all those possibilities, but in a general sense the combination of Norhurst’s goals and my own personal goals as the founder of a Dynasty tends to open a lot of doors which should prove interesting to nearly any playstyle. If you’ve got an ambition you wish to make happen within the game, regardless of what it is, it is first and foremost individuals like you a ruler needs in order to reach his own targets, meaning that you would be more than welcome to stand among us; we can work together on fulfilling those ambitions of yours. The Job Roster is where positions are offered to help us bring things forward, both before and after the game’s release. If you’re interested in helping us build this community even further, this is where you should look! Tasks listed here are the ones required as quickly as possible, but if you’d rather collaborate in another field, whichever it might be, consider still contacting me about it. I will likely have other offers for you, more in line with what you personally desire. We’re currently seeking someone who’s willing to put a fair amount of their time toward the Ehrhardt’s presence on Social Medias and the web, helping us through consistent work and a clear schedule. We’re currently aiming for several platforms, including : Facebook, Twitter, YouTube, Discord, a Gmail account and possibly even a custom website. There’s no need for any particular skills in order to achieve this task, but consistency is of utmost importance. If you’re interested, feel free to contact us through PMs. The Norhurst and Ehrhardt communities are still hard at work in their push toward the creation of a visible presence on the web, starting with their all-new Discord server setups. We are now mainly focused on our recruitment efforts ahead of Domain & Settlement Selection, and preparing for the creation of our social media outlets, mainly Facebook, Twitter and Youtube, for the sake of the incoming arrival of new players. We are also still looking into plans for an eventual website release, meant to satisfy our eventual need for adapted logistics. Social media accounts are currently under construction, and should be available eventually. For now, feel free to contact us through here, or on Discord, for concerns of any kind.